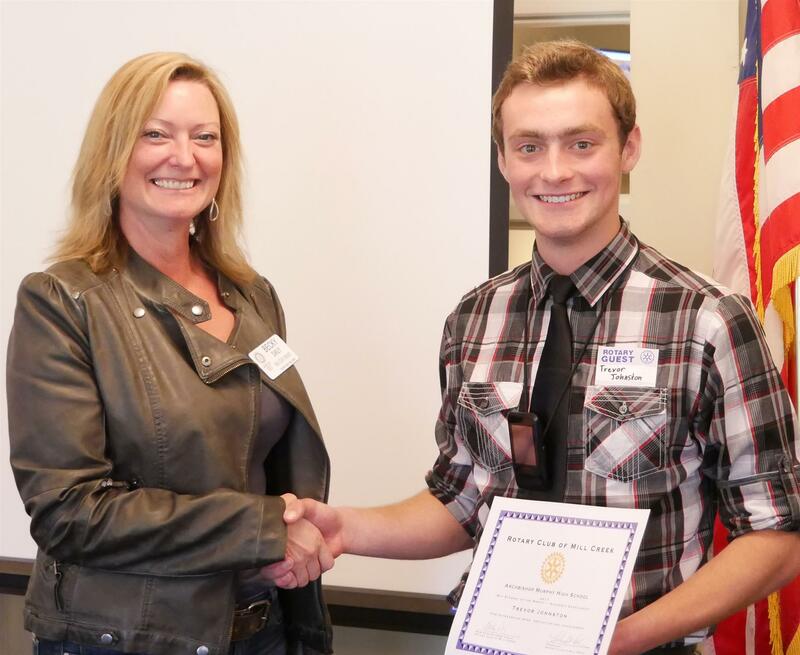 Our May, "Academic Excellence" Student of the Month for Archbishop Murphy High School is Trevor Johnston, shown above with our New Generations Chair Becky Daily. Trevor has achieved a 4.0 grade point average, even while taking 10 Advanced Placement and 6 honors classes. In addition to his excellent academic performance, Trevor is involved in numerous clubs at school, volunteer work in the community, and is the goalie for Archbishop Murphy's soccer team! Trevor will be attending the University of Washington and study bio-medical engineering. Congratulations Trevor!